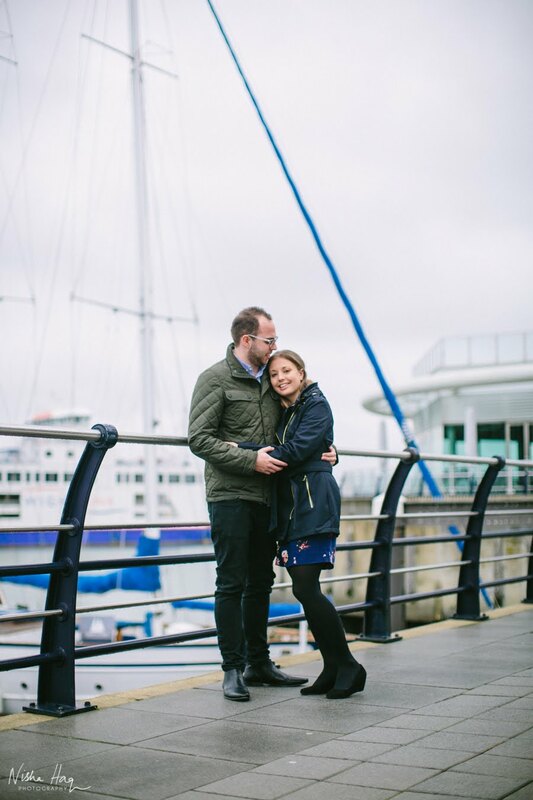 "We absolutely love the photos, these are really fantastic and brilliant - thank you so much. 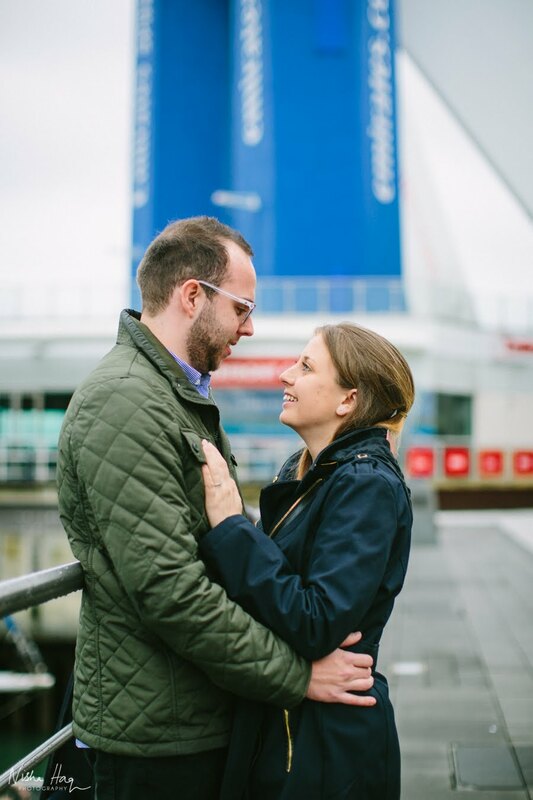 We have only had great feedback from everyone that we have shown. 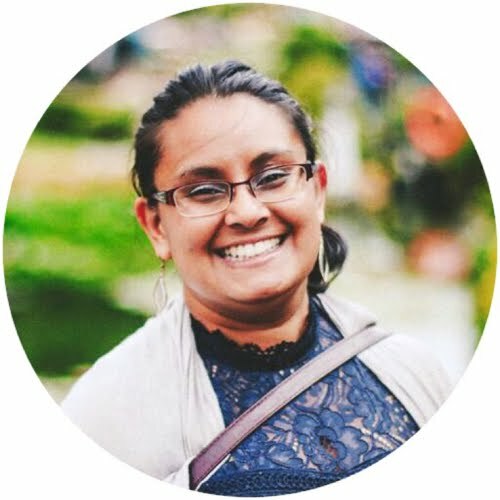 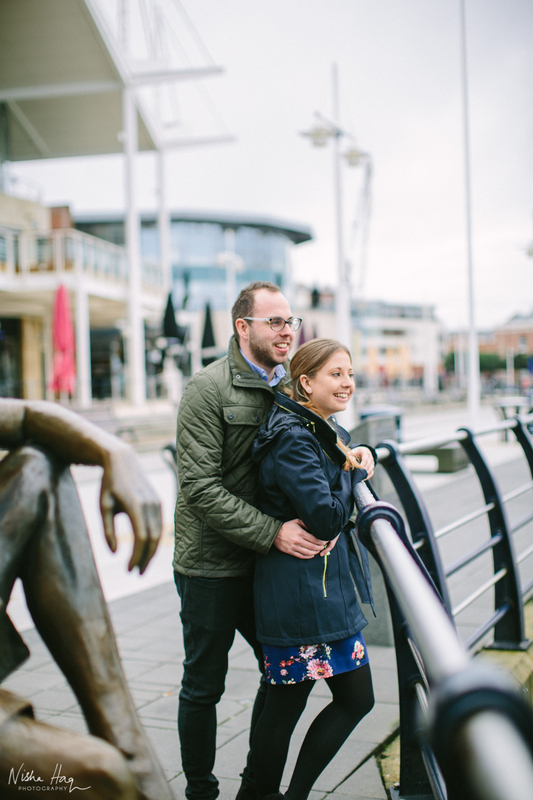 I have used some of the images as part of our wedding invites." 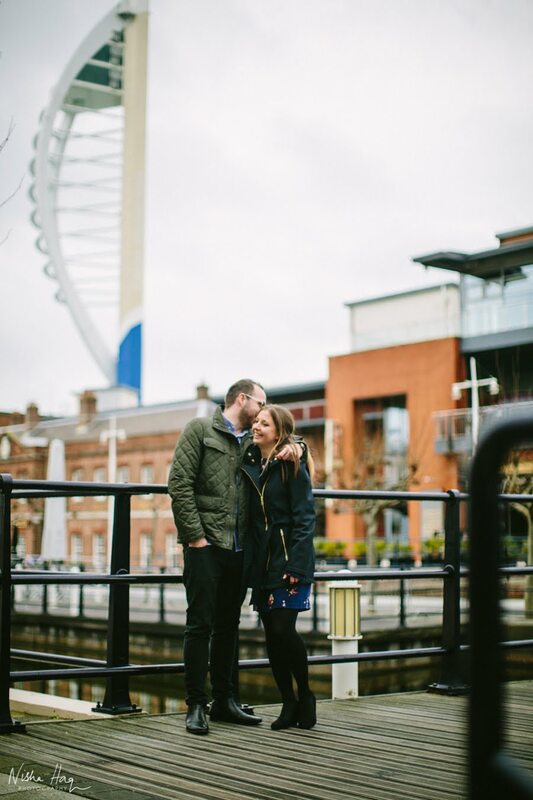 Really looking forward to Kerry & Paul's wedding in Gunwharf Quays today, Portsmouth. 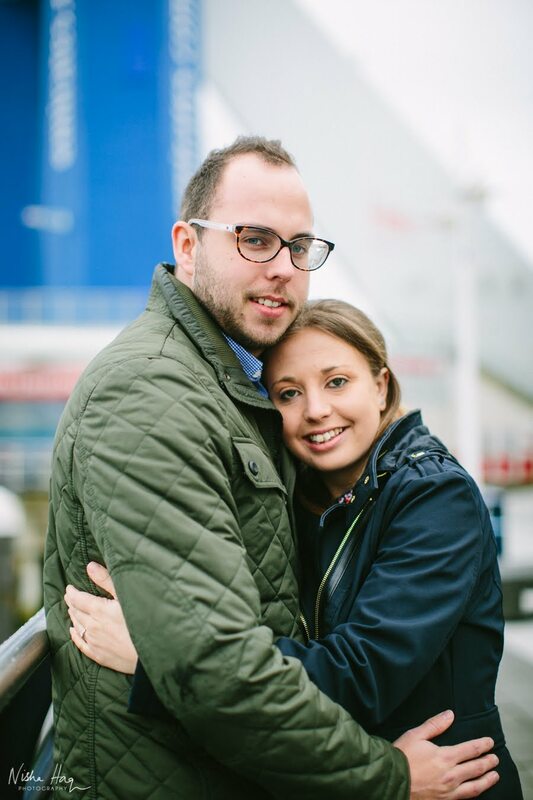 What an awesome couple they make! 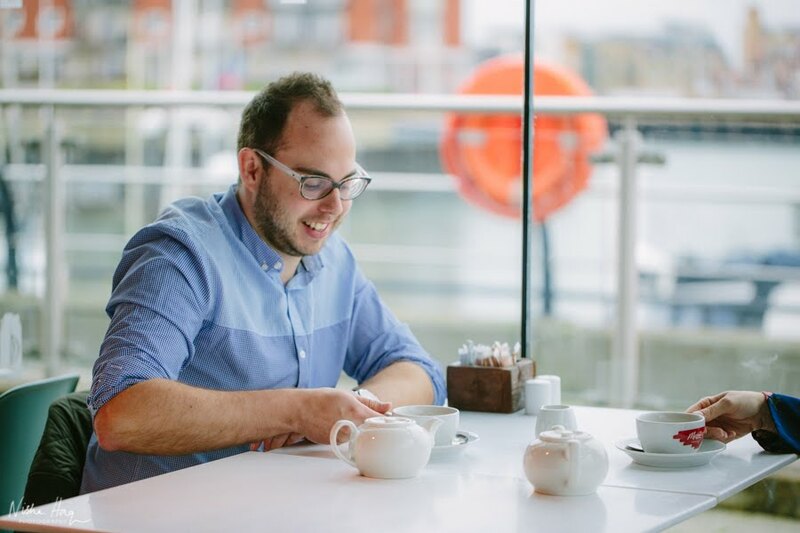 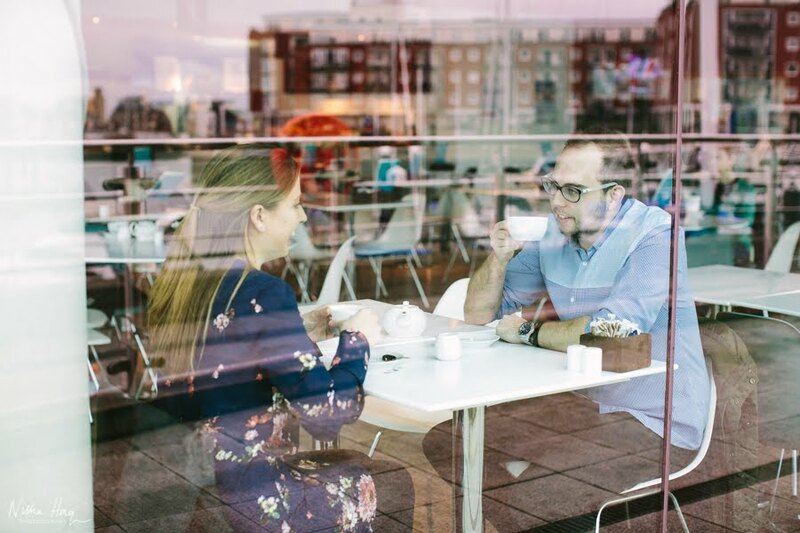 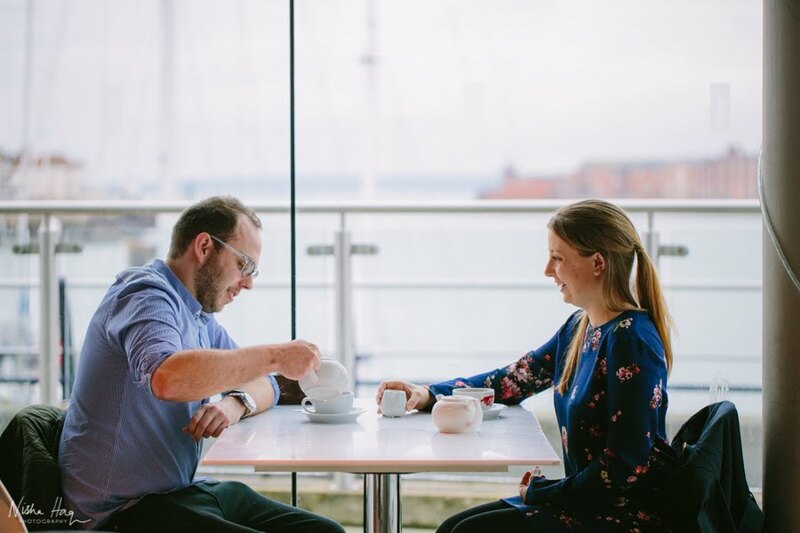 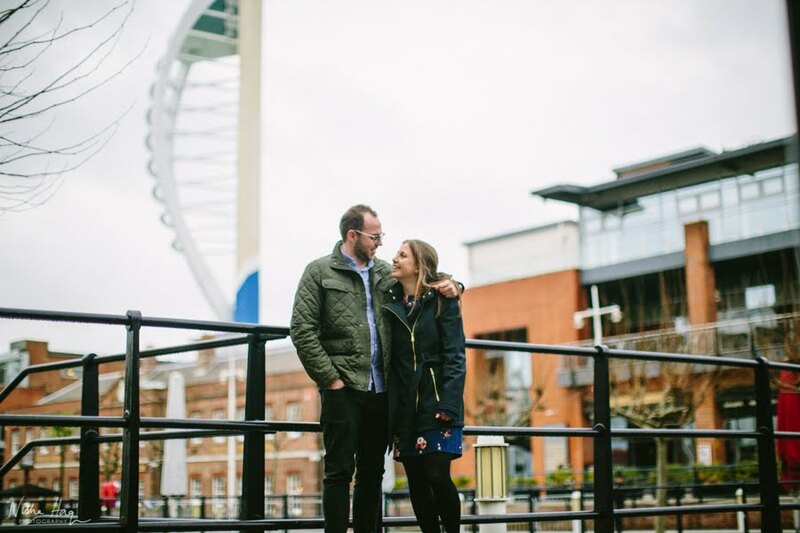 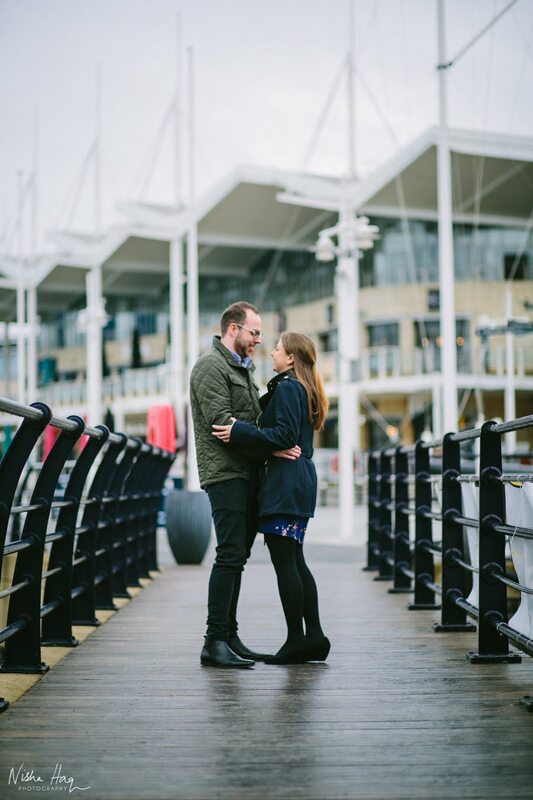 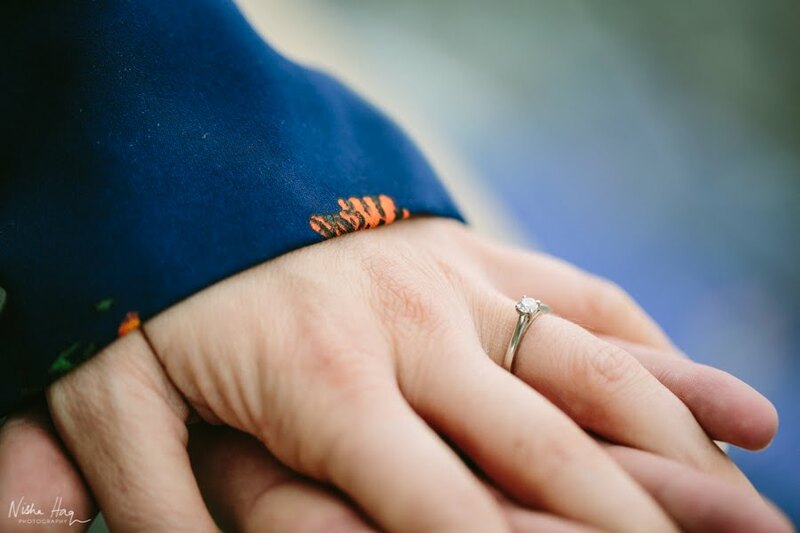 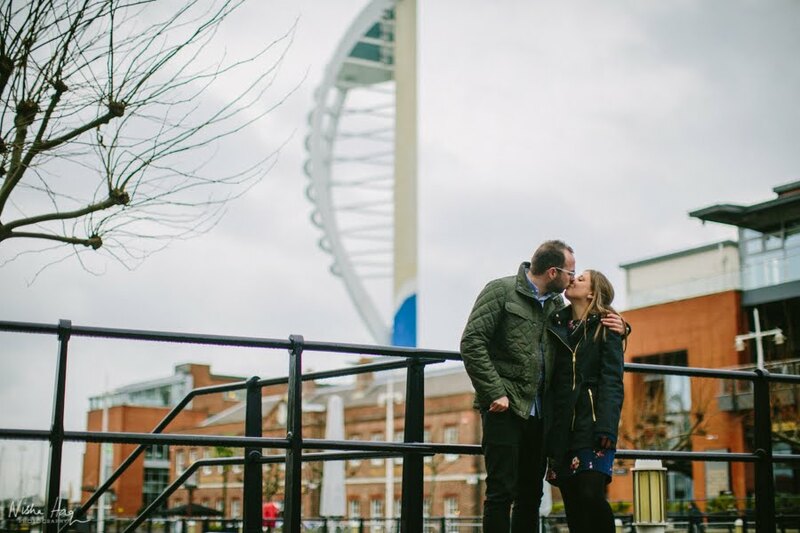 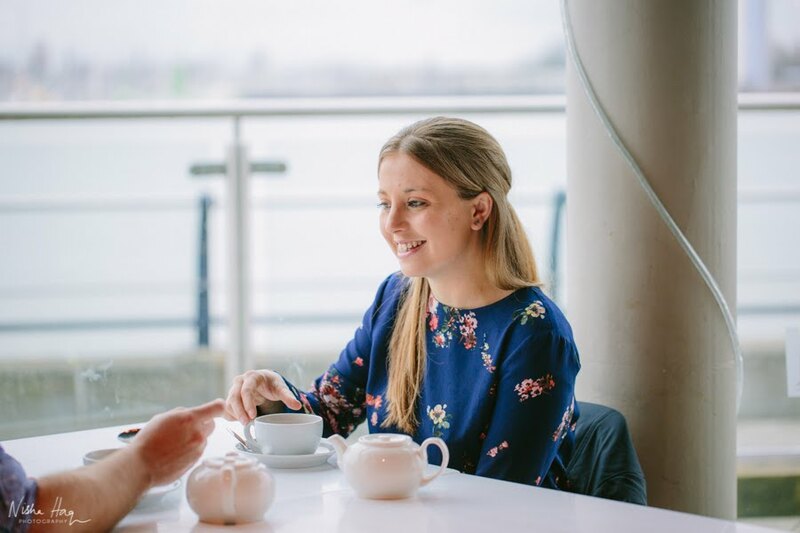 A throwback to February on a chilly winter's Sunday morning when we met up at Spinnaker Tower to go over their wedding plans, we decided to double up with an Engagement Session too! 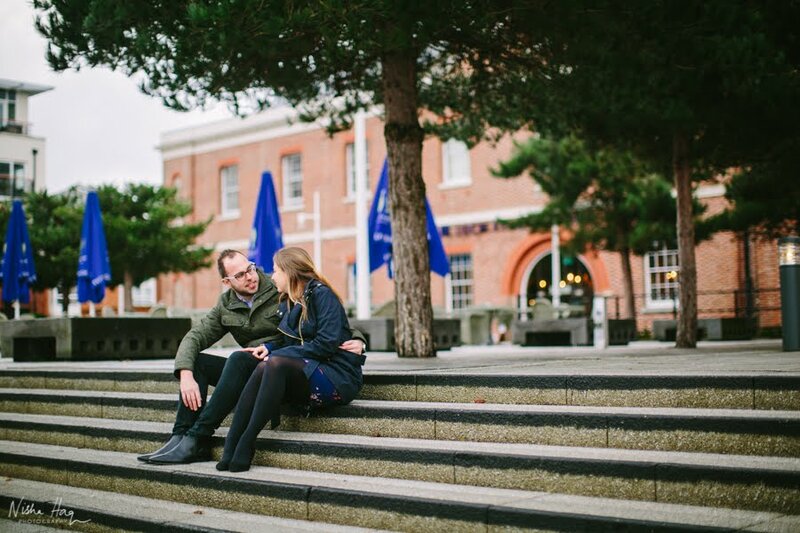 What an awesome day it was and capturing moments with a couple who are just so wonderful together! 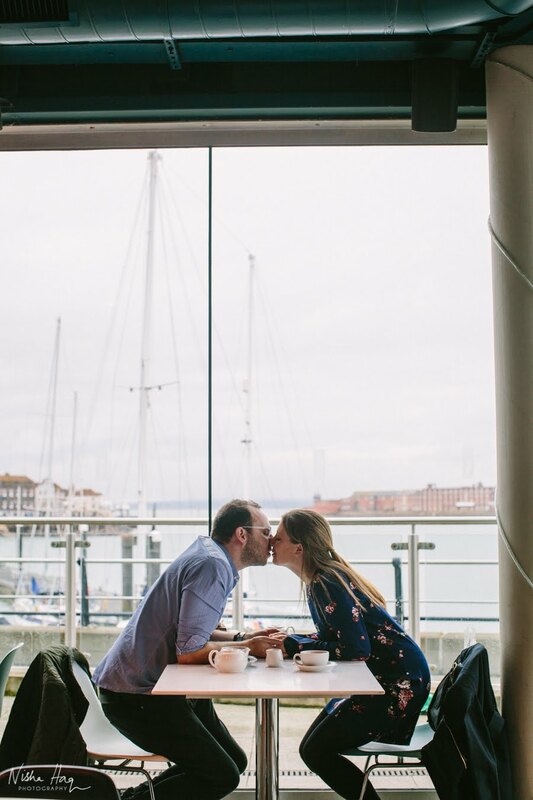 We started off the session at the landmark tower in the Portsmouth skyline and fortunate to have the whole place to ourselves before it opened to the public. 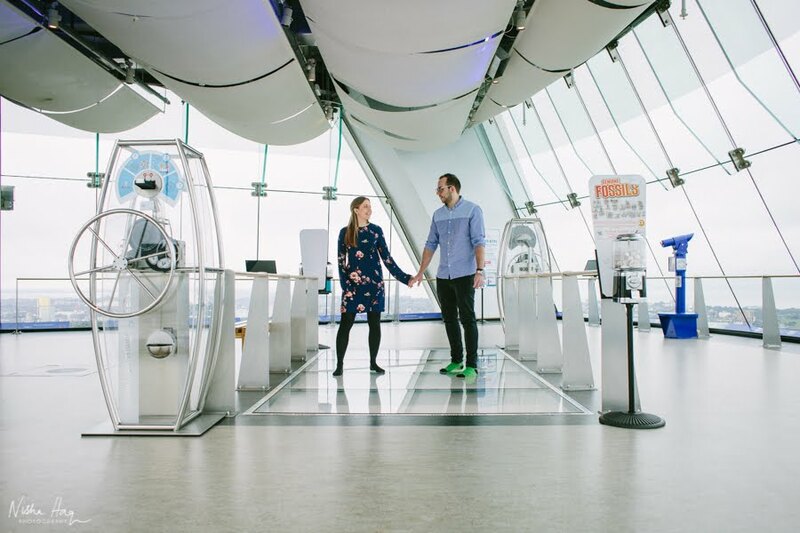 It's such a cool and interesting venue to photograph in and we had so much fun taking photos in essentially a big glass box. 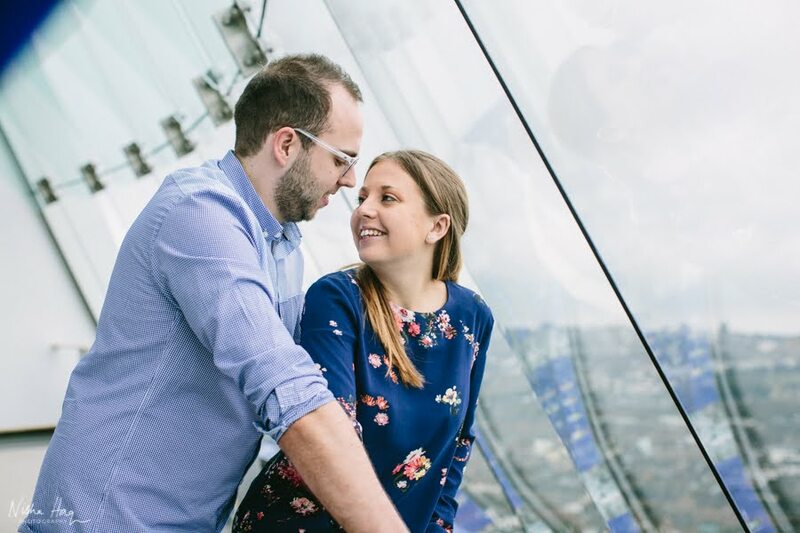 The view from the top is amazing and seeing the whole city below is really fascinating. 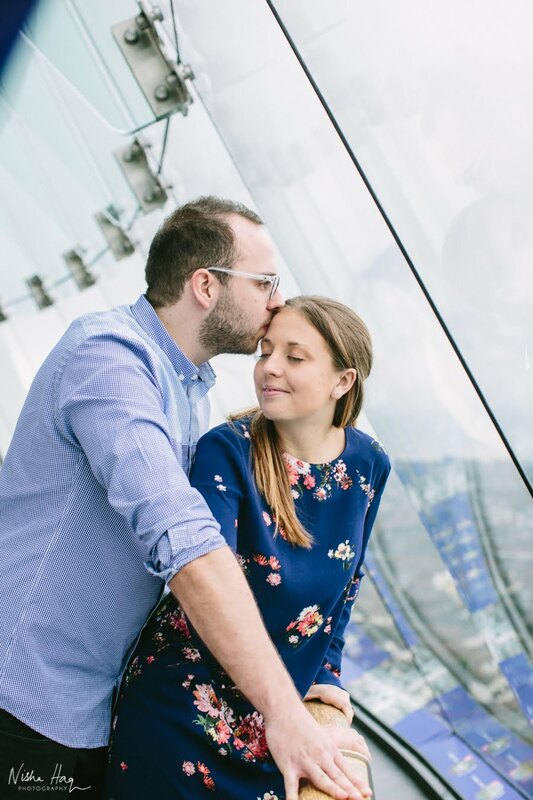 I love the fact they just have their funky socks on when they stand on the glass (above) and makes a lovely unique shot of the two. 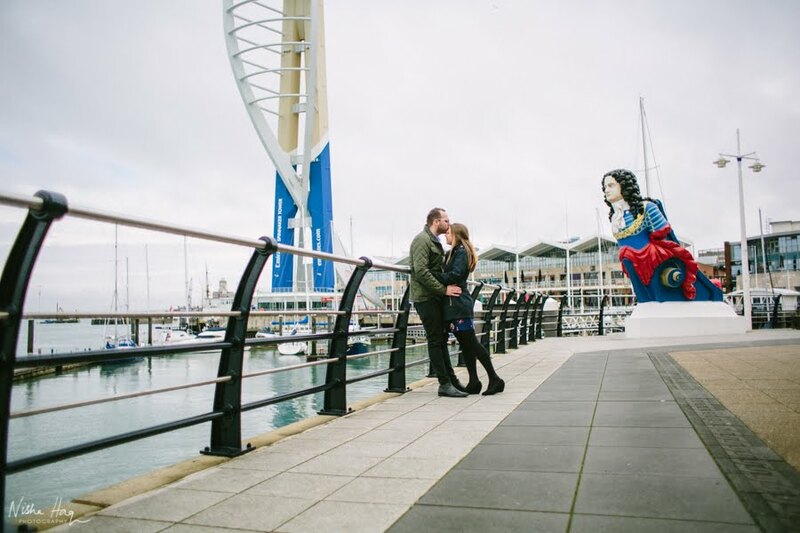 Afterwards, we headed into Gunwharf Quays which is where Spinnaker Tower is situated in and spent the morning having a chat and taking some goofy photos. 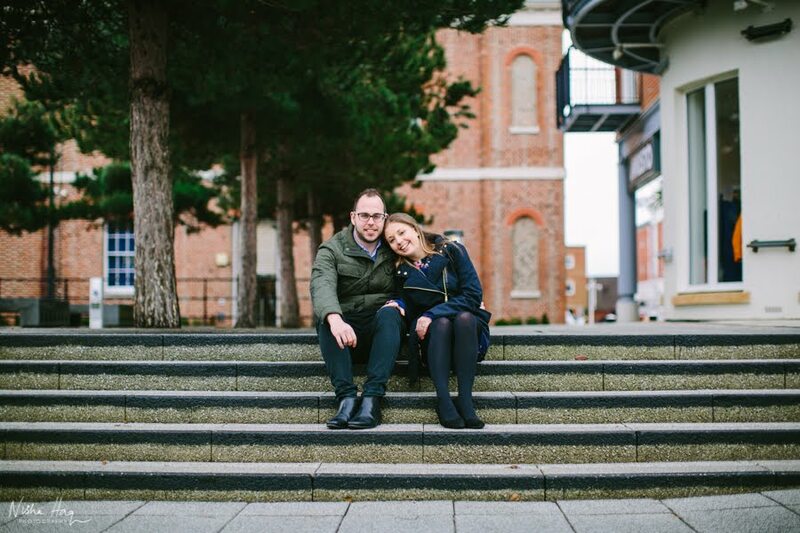 I love how laid back they are as a couple and so easy to get on with. 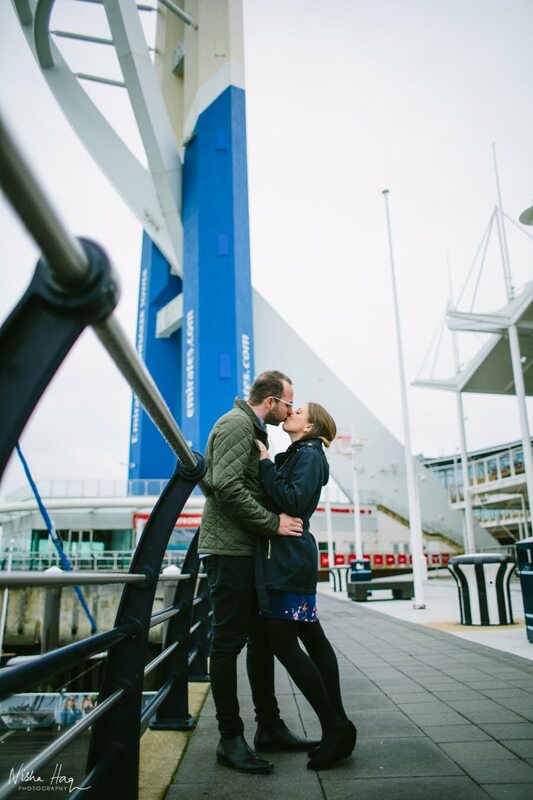 I know their wedding is going to pretty cool today! 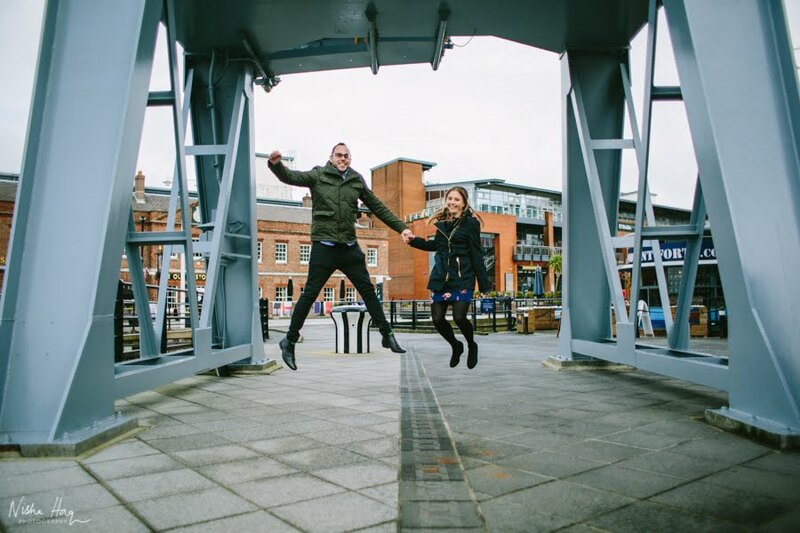 When couples say they don't look very good on camera or that they're not photogenic - it's pretty safe to say that Kerry & Paul are rocking their Engagement Session and I'm sure they'll be rocking their wedding too! 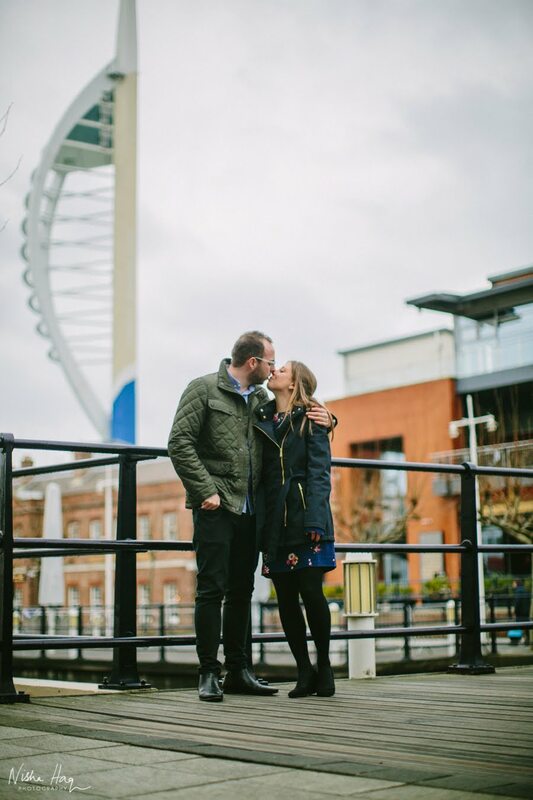 Can't wait to document their wedding today at Spinnaker Tower. 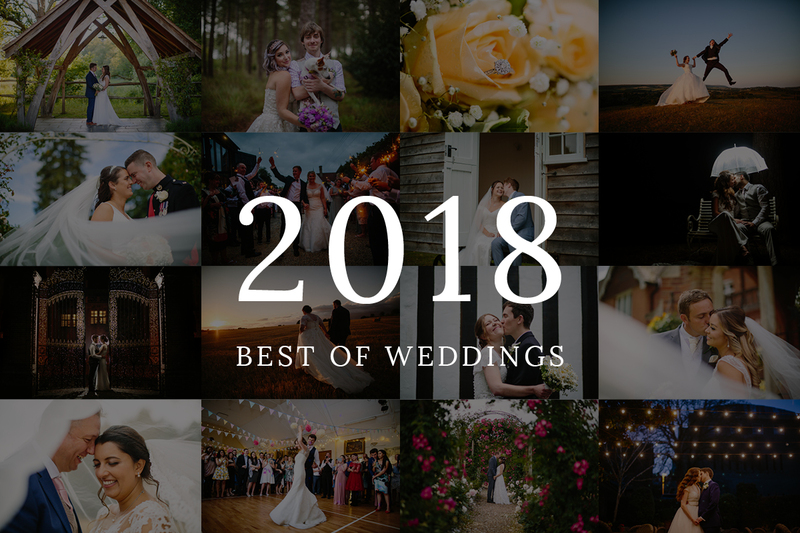 It's going to be awesome and certainly one-of-a-kind!